One day after my Quantocks walk and I got to meet up with a friend I hadn’t seen for a number of months… On a walk, naturally. 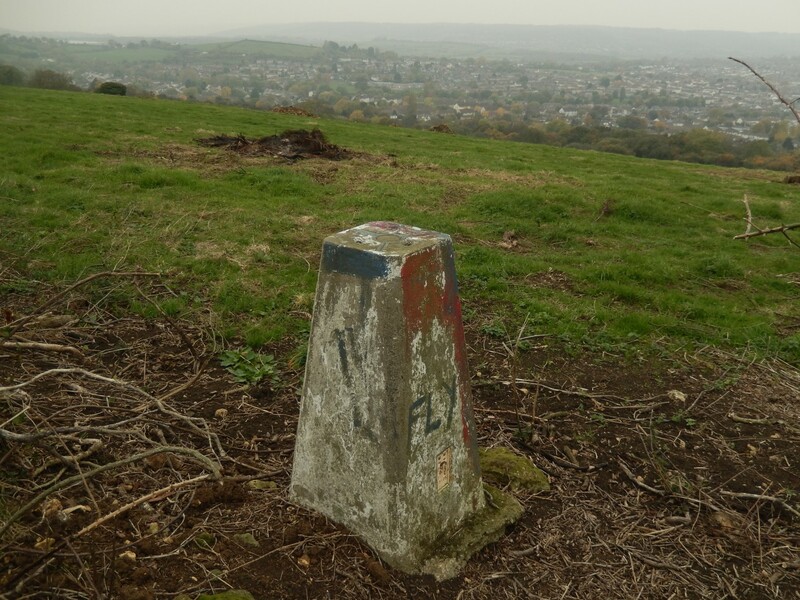 We’d originally talked about doing a longer walk further south on the Mendips but arrived at a compromise where we we meet up, closer to Bristol and tackle the 4.5 miles of Geoff Mullett’s Dundry Hill walk. You can find it at Ordnance Survey grid reference: ST 573 670. Fly-tipping. A problem that grows worse, the further east you travel from here. 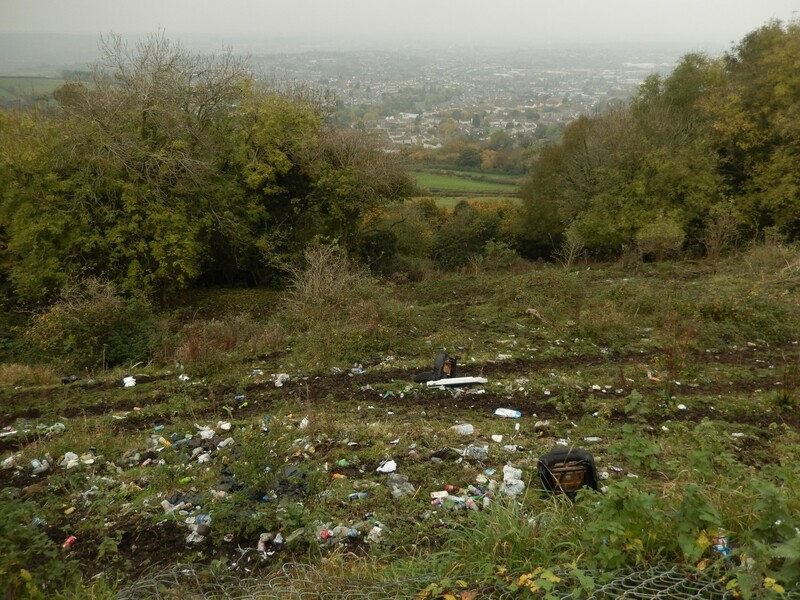 East Dundry is a habitat – allegedly, for tradesmen of South Bristol who are unwilling to pay to have their waste disposed of correctly. As we approached this latest site, which sits at the end of a dead-end lane with a turning space for vehicles, we witnessed one young couple return to their blue car before driving back in to the village… I didn’t witness them throwing anything over the edge but there presence was suspicious, nonetheless. This was at: ST 560 668. It appears to cost the council thousands of pounds each year in clearing up although, I’ve never seen any local news stories of anyone been caught in the act, charged or prosecuted. 76 bin bags containing drugs! I like one man’s suggestion of impounding the owner’s vehicle. That’d cost more than the current deterrent of a small fine. But I fear this will only continue to rise, as North Somerset Council implements a new recyclcling scheme in March, where even residents will have to pay to dispose of DIY waste, while for each visit, you must have a permit slip (although, I think there’s are of a free issue – I once had one for my van, where I received twelve permit slips for a twelve-month period). Sounds like a good walk and glad you found the trig pillar. Fly tipping is a terrible problem, isn’t it. All too often I find green lanes and bridle ways have been despoiled by a heap of junk. As you quite rightly point out, sometimes councils bring it on themselves by the charges they levy. Hi Ruth – I found a byway today that was covered with all sorts and it’s something I’ve reported to the council. This was a very rocky track – I can’t imagine you’re average white van going far without getting stuck!